Designed with a sharp, circular blade inside. 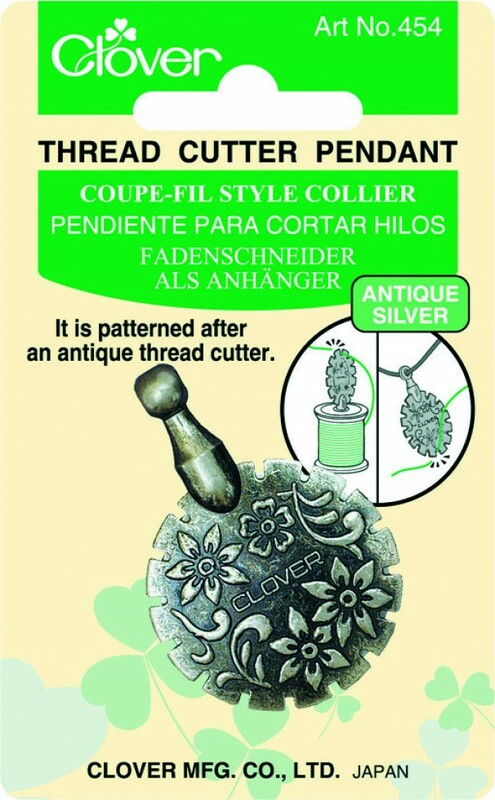 It can be set on top of a thread reel or used as a pendant. Threads are cut in any of the grooves.